Since God has already decided who will be saved and who won’t there is no point in praying for the salvation of another person. If he has been predestined for salvation he will be saved; if he hasn’t been predestined he won’t be. Our prayers will have no effect. This seems like an unanswerable argument against praying that someone be saved. But Paul, the author of the above quote, wasn’t persuaded by it. He prayed for the salvation of his fellow Israelites. Why would Paul pray for their salvation if God had already determined whether they would be saved? He understood that God doesn’t experience time the same way we do. We only experience one point in time. Some events are in the past and we can do nothing to change them. Some are in the future and the choices we make now can affect them. God doesn’t experience time this way. To him the past, present, and future are all the same. One of his attributes is omnipresence. His omnipresence is temporal as well as spatial. He not only exists everywhere at the same time, he also occupies all of time. The things we do can only affect the future. Our prayers can affect the past. If you know people who are unsaved, pray for them. God can answer the prayer you make now by selecting that person to be saved before the creation of the world. Our prayers can affect the past. If you know people who are unsaved, pray for them. God can answer the prayer you make now by selecting that person to be saved before the creation of the world. Does God not exist outside of time? Yes - as in - He perfectly sees the past, present and future, ALL on one page at the same time, and has always seen every aspect of every event, decision and action of EVERYTHING and in every time and dimension. But that does not mean He didn't create things to run in real time. He created and put us in REAL time - and that is how He responds to us. There is NO Scripture that tells us God goes back into time and changes what has already transpired. Hebrews 9: 27 tells us, "And just as it is appointed for man to die once, and after that comes judgment" - meaning, whatever one's time of opportunity / decision (to accept or reject Christ) has been or will be (for those still alive) immediately ending upon their death. He draws and responds to people in real time and sequence, even though He stands outside of time. He doesn't need to wait to respond, as if He were a man gathering more information, as God has ALWAYS had all of the information that will ever exist. And so a person's salvation or condemnation is based upon the decision God both made possible for Him (at the Cross) AND whatever a person's exercise of the free will decision God gave us to make (whether to reject Him or to embrace Him) - and DURING THEIR LIFETIME! This is also what we see in the parable of the rich man and Lazarus in Luke 16. Of course, God has ALWAYS known what a person's pre-death choice will be. He knows whether a person will even benefit from EVER hearing the Gospel, because He knows who has a permanently hard heart and who will eventually listen, obey and follow Him. For a man who decides his entire life to reject God - no Gospel or Bible are any good to such a person. So, our praying for a person AFTER their death does no good, as God has decided to everyone's fate to THEIR decision and RESPONSE to Him - a decision EVERY person must make BEFORE they die. So, God does not decide for a man whether or not He will be saved - and yet, He KNOWS whether or not they will be. He still needs to first woo and guide every eventually saved person into salvation, and He does so with everyone whose heart and mind are WILLING to eventually listen and obey. We cannot be saved without God doing and making these things possible - as ALL we can do is RESPOND to what God does for all IF they will eventually have a willing and open heart - that eventual willingness or permanent rejection is entirely a man's decision - as that is a decision God has made possible and that He has given to everyone. He doesn't force ANYONE into faith or rejection. He wants us to love Him freely, as the free creatures He created us (in His Image). Forced love could never be true love! So, God both chose every Christian AND every Christian, before they die, chooses Him - there is no contradiction. What God predestined was not ANY man's choice (whether to accept or reject God) - no, what He predestined was that all who would eventually accept Him are the ones He would adopt and save. Those permanently rejecting - He also predestined their fate of eternal punishment and separation. And so, per Hebrew 9:27 - we can see death ends all further ability to be saved, as then comes the judgment! "25 But Abraham said, ‘Child, remember that you in your lifetime received your good things, and Lazarus in like manner bad things; but now he is comforted here, and you are in anguish. Also, see that there is no mention of GOD causing the rich man's fate - exactly the opposite, he brings it upon himself. In fact, why does Abraham even reference whether a person being "convinced" of something (of having faith in God and obeying Him per the words of the Moses and the prophets), as if it has something to do with a person's eternal fate? So, clearly, HOW we respond to what God reveals to us - as to whether we avoid, deny or reject Him and His Words / prophets / apostles, or embrace Him in obedience - we clearly are given a choice (salvation or death). It's the same reason the apostle Paul spent so much time trying to convince people of who Jesus was and their need to embrace Him in faith! Because God gives ALL people a choice - whether to embrace and love Him, or to reject Him. So, while we can pray for a person to become open to Christ, and although God wants them to do this - and He'll do all necessary for the one who chooses to be open to and know of His truth / of Christ - ultimately, the person has to decide for himself about God. Your prayers nor God will change a person permanently resistant to God, as ultimately it has to be an individual PERSON's faith and decision - as that is how God decided salvation and condemnation work. There is NO Scripture that tells us God goes back into time and changes what has already transpired. I agree with that statement completely. However he does know everything that will happen in the future, including what people will ask for in prayer, and if he decides to answer a prayer his original creation will include the answer. Hmm, who is holy and blameless? No one other than Christ. So that must mean that when Paul says that he does NOT mean, literally, that we would be holy and blameless. So, maybe that means that use of "predestined" may not mean what we think it means. God predestined that ALL that belief in Christ are saved. He did NOT predestine each individual in the since that He choose "Tom" to be saved and "Mary" to be damned. If He did, He would not be God ( nor would Christ's sacrifice be needed). T-U-L-I-P vehemently disagrees with you. 1 Timothy 2: 3-4: 3 This is good, and it is pleasing in the sight of God our Savior, 4 who desires ALL people to be saved and to come to the knowledge of the truth. And especially, John 3: 15-17: “For God so loved the WORLD, that he gave his only Son, that WHOEVER believes in Him should not perish but have eternal life. For God did not send his Son into the world to condemn the world, but in order that the world might be saved through Him. BOTH are true - we could not believe if God had not first desired to save us, and yet He desires to save ALL - all who what... all who are willing to BELIEVE / have faith in Christ! But we can't even believe in our own power - God must help and guide us to that - and He will always do so for anyone with an open and willing heart and mind - and through that openness, He will show and guide us into faith and salvation. The only ones this is impossible for are ones with a CLOSED heart and mind, who desire to remain permanently in rebellion, resistance and avoidance to all God wants to show us. He shows such people enough to know more IF they desire it / are open to it. But the one thing God will never do is violate the free will that He gave each person - He will not FORCE anyone to love Him BACK - He allows rebellion and resistance, but for a time (one's lifespan). And it is those in permanent rebellion who will spend eternity apart from God, in darkness and just punishment. And as FORCED love would and could never be an authentic love. God wants to help us to faith and love of Him - but He just won't force it upon anyone! Philip wrote: BOTH are true - we could not believe if God had not first desired to save us, and yet He desires to save ALL - all who what... all who are willing to BELIEVE / have faith in Christ! But we can't even believe in our own power - God must help and guide us to that - and He will always do so for anyone with an open and willing heart and mind - and through that openness, He will show and guide us into faith and salvation. The only ones this is impossible for are ones with a CLOSED heart and mind, who desire to remain permanently in rebellion, resistance and avoidance to all God wants to show us. He shows such people enough to know more IF they desire it / are open to it. But the one thing God will never do is violate the free will that He gave each person - He will not FORCE anyone to love Him BACK - He allows rebellion and resistance, but for a time (one's lifespan). And it is those in permanent rebellion who will spend eternity apart from God, in darkness and just punishment. And as FORCED love would and could never be an authentic love. God wants to help us to faith and love of Him - but He just won't force it upon anyone! What does it really mean, "we can't believe in our own power"? God guiding everyone with open and willing heart and mind - well, what is the difference between a person with and without open mind? Because there were also many converts, first close minded about God, then something hard happened in their life, then they were openminded and then believed. So, what is the difference between a person with closed mind without difficult situation and God's revelation in his life and a person with closed mind but then being revealed God by some hard situation? What is really a difference between a potential believer and a potential never believer? And How God really woos someone without violating his free will? Any example? Jesus says, in John 6:44: "44 No one can come to me unless the Father who sent me draws him. And I will raise him up on the last day. Matthew 11:27: "All things have been handed over to me by my Father, and no one knows the Son except the Father, and no one knows the Father except the Son and anyone to whom the Son chooses to reveal him. John 15:5: "5 I am the vine; you are the branches. Whoever abides in me and I in him, he it is that bears much fruit, for apart from me you can do nothing." It is God who begins His work of bringing the WILLING / not PERMANENTLY resistant person to faith - Philippians 1:6: "For I am confident of this very thing, that He who began a good work in you will perfect it until the day of Christ Jesus." Philippians 2: "12 So then, my beloved, just as you have always obeyed, not as in my presence only, but now much more in my absence, work out your salvation with fear and trembling; 13 for it is God who is at work in you, both to will and to work for His good pleasure. Hana: God guiding everyone with open and willing heart and mind - well, what is the difference between a person with and without open mind? The difference is that, as God knows all future things, He knows what He does, and when and how, will EVENTUALLY effectively draw a person He also foreknows will not be PERMANENTLY resistant to Him - and so it is He that must open a person's eyes and mind to Himself. HOWEVER, He also foreknows that some people, no matter what He desires or does for them will ever change their mind to not be determined to permanently resist Him. His grace is effective upon the person who will eventually have a willing heart and mind per what He shows them. But there are many who, no matter what God shows and reveals to them, they will NEVER have faith or want God. Of course, having FAITH in Christ is different from merely having an intellectual belief He exists (see James 2:19). And yet, Jesus notes that there is a such person for whom NO amount of miracles or insights will change their hard hearts toward the Lord. As in the parable He tells of the rich man and Lazarus, as the rich man mistakenly believes that ONLY a radical miracle or actual proof would convince his living relatives to have faith in God, so as to avoid his same faith: Luke 16:31: "He said to him, ‘If they do not hear Moses and the Prophets, neither will they be convinced if someone should rise from the dead.’” This tells us that some people, no matter how much information or proof they have about God, it will never be enough - because EVIDENCE ISN'T THEIR REAL PROBLEM! Their REAL problem is that they want to remain their own little gods, and so they deny and refuse the true God. Note the double meaning of "if someone should rise from the dead" - the immediate context is related to the parable - of the rich man asking that Lazarus be sent to "warn" his "five brothers." But also, when Jesus was resurrected, with so many eyewitnesses over 40 days - people still did not believe, thought "someone / Jesus" rose "from the dead." 1 Timothy 2:4 states that God "desires ALL people to be saved and to come to the knowledge of the truth." 2 Peter 3:9: "The Lord is not slow to fulfill his promise as some count slowness, but is patient toward you, not wishing that any should perish, but that ALL should reach repentance. So, why does Paul say people, even those without the Gospel, are without excuse before God for embracing Him BACK? Romans 1: 18 For the wrath of God is revealed from heaven against all ungodliness and unrighteousness of men, who by THEIR unrighteousness suppress the truth. 19 For what can be known about God is plain to them, because God has shown it to them. 20 For his invisible attributes, namely, his eternal power and divine nature, have been clearly perceived, EVER SINCE THE CREATION OF THE WORLD,7 in the things that have been made. So they are WITHOUT EXCUSE. So, Paul tell us, ever since the world began, God has made all people aware of Himself, but that in their desire to rebel, reject and disobey Him, "THEY" in "THEIR unrighteousness" have "suppressed the truth." So, those permanently unwilling to believe have lied to themselves so long that they are no longer aware of God's existence or they simply deny or avoid Him. And thus, THEY have willfully blinded THEMSELVES! As one simply cannot have what is necessary to faith - if they refuse what God has ALREADY and continues to show them about Himself and His existence that further leads to what they need to understand and believe. As it is God that must lead them to it, but He won't force their upon them their desire to be led (thus, such determined / permanently resistant people), as God says in Scripture, "forever resist the Holy Spirit." Hana: Because there were also many converts, first close minded about God, then something hard happened in their life, then they were open-minded and then believed. So, what is the difference between a person with closed mind without difficult situation and God's revelation in his life and a person with closed mind but then being revealed God by some hard situation? The difference is in what they choose to believe or not believe, in response to what God shows them - and that He wants to FURTHER show them (to see Christ / believe and have faith in Him), but per whatever their own desires are - some will never change their minds, ONLY because THEY don't want to! Note that God shows each person enough about Himself to know of His existence (Romans 1), and for many, MUCH more - as vast billions also have access to the Gospel. But NO one will fail to be saved because God didn't provide them enough information - He gives EVERYONE enough to know more, but most refuse what He's already shown them - meaning, they reject even the truths about Himself He's already revealed to them. Lastly, many even die unsaved WITHOUT knowing the Gospel - one doesn't need to know about Jesus and the Gospel to reject God (as did many across the Old Testament - as many even who rejected Him sat at HIs feet Jesus did incredible miracles!). Acts 7:51 gives the reason for unbelief and lack of faith: "You stubborn people! You are heathen at heart and deaf to the truth. Must YOU forever resist the Holy Spirit? That's what your ancestors did, and so do you! Notice, God's Spirit is reaching out to them, but these unsaved people resist Him! Matthew 3:27 - note God is so willing, but people resist: "O Jerusalem, Jerusalem, the city that kills the prophets and stones those who are sent to it! How often would I have gathered your children together as a hen gathers her brood under her wings, and you were not willing!" Hana: And How God really woos someone without violating his free will? As per Romans 1 and many other places, God gives each person whatever THEY personally need to reach back to Him in faith - but He will NOT force Himself upon anyone - as forced love can never be true love from the one so forced. Note, God told Adam: "You are free" (Genesis 2:16). But notice, in the Garden, Adam and Eve had a choice which they could and did freely exercise, as THEY chose to sin and rebel against God's command. God would not expect obedience to His word if we were not free and CAPABLE of choosing to obey it. Note that our sin is OUR sin, and that it's freely chosen. Humans were created in God's Image - and likewise, were created as creatures of free will. 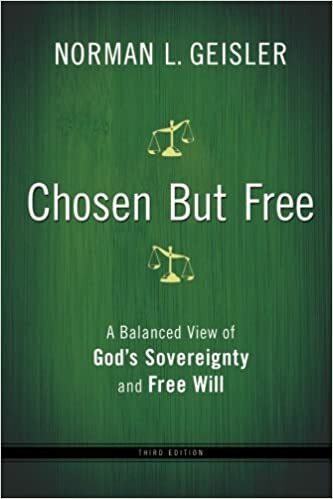 And if we could not choose to sin - we would not be free to make decisions, AND thus our sin would not be our own - as the only other alternative is that it would instead be God-caused, which we know is not the case (see James 1:13)! Across Scripture, God is angry at unbelievers who fail to repent and obey Him / they refuse to desire to have faith. So, why is God angry? Because while those permanently resistant to God COULD believe and have faith - and He certainly wants them to - He even commands it (that they turn to Him) - they refuse Him. Summation: A) We cannot believe without Christ enabling it; B) God wants ALL to believe and have faith in Christ; C) God has ALWAYS known who would eventually listen to His prompting and wooing - and for all such people (those not PERMANENTLY resistant to His Spirit) - He will eventually open their eyes and minds to His truth; D) He gives US the choice - to respond to His wooing or to resist / deny / avoid it; E) He gives ALL persons what they need to believe (as opposed to what they THINK they need; F) He will not force anyone to love Him back; G) God has tied the decision we make about Him (whether to embrace or reject Him) to our eternal fate (Heaven or hell). H) There is no contradiction between us requiring God's enabling our belief AND our ability to choose to respond to Him - He helps ALL who are willing to accept His prompting, wooing and help! i just do not understand why, when "God gives each person whatever THEY personally need to reach back to Him", people do not reach him. If they have all they need to reach ti Him, why just they do not do it. This probably I will never understand in this life. It's a matter of the heart and will, Hana. Many only want to live life as THEY desire to, per their own selfishness and narcissism. Yet they know if the God of the Bible exists, that there are terrible eternal consequences for rejecting Him - so many lie to themselves that He doesn't exist, in an attempt to escape the logical anxiety and fear of the consequences the Bible says they should fear. IF God has predestined who will believe in Him and Be saved then there is nothing ANYONE can do and as such, choice is an illusion. Also, all the verses that imply both explicitly and implicitly, that people have the choice are all wrong. Now, IF we do have choice and the verse that state we have a choice are right, then the view that God has predestined those that believe in Him is either wrong OR, predestined doesn't mean what we THINK it means. God has predestined that ALL those that BELIEVE in Christ will be saved. He did NOT predestine WHO WILL believe in Christ. Billions of years ago, God didn't decide that Paul Sacramento WILL believe in Christ and Be saved and that Tom Johnson ( made up name here) WILL NOT believe in Christ, no matter what, and will NOT be saved. He decided that ALL that believe in Christ will be saved and that happens to include, Paul Sacramento because he CHOSE to believe in Christ.